I was told I couldn't possibly get lost in Kiltepan. 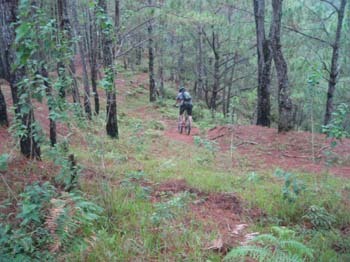 Any trail will invariably lead to either of 2 main roads. Well, I tried it alone last week and got lost. The trails forked and some some led to cliff faces and others led nowhere - it just gradually disappeared. It took some retracing to get me back where I started from. 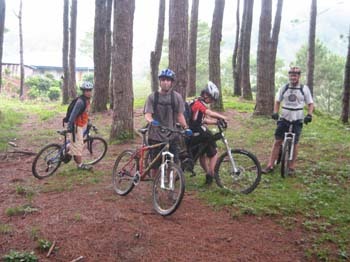 Steve scheduled a ride back to Kiltepan. Now, I'm riding with a pack again. It's been awhile, given the rains. Peace Corps volunteers, Pete and Pam joined us...so did Siegrid. Joey, fresh from his elbow dislocation and hip fracture which took him out of the saddle for 3 months was also making his virgin ride. 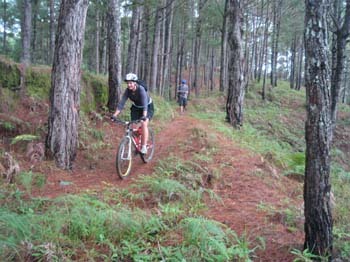 Kiltepan serves as a litmus-test ride. 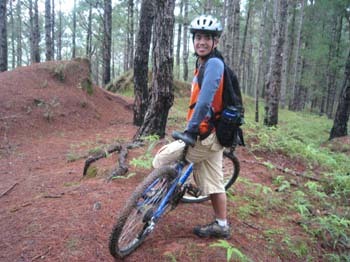 Only a short ride away from Poblacion, it's not too technical, but not boring either. 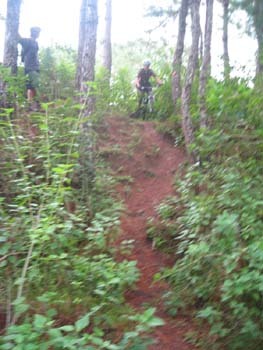 It's an ideal trail system to try out the new riders about their skill set and stamina. 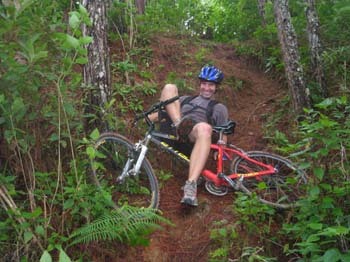 If they make the grade on this, then it's ok to take them along more challenging trail systems. If they can't hack it, then nowbody's left holding the bag. 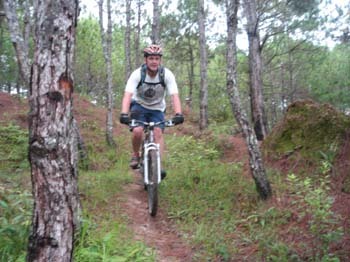 It's also a good place to try getting back on the saddle after an absence from the scene. 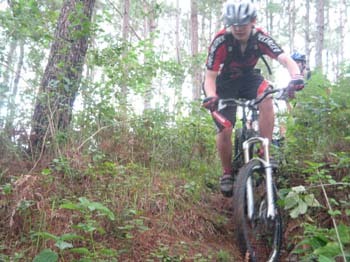 Not surprisingly, trail conditions were hardly ideal. 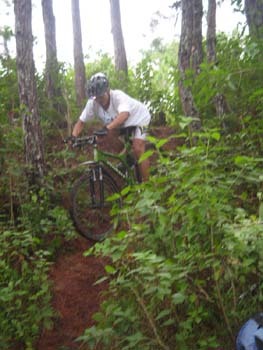 Given all the rains, the overgrowth blocked a good deal of the trails. The ground had dry patches, but mud sections were all over. Portaging was part of the scene. But really, nothing a little trail-clearing effort cannot address. 3 guys with a machete should do it. In an hour, the ride was over, which was the game plan - nothing too hard today...just enough to get the heart pumping and be back with ample time to cook lunch (or do laundry). An hour's ride isn't plenty, but just to be out of the house, breathe-in fresh mountain air and work-out a little sweat...that's all too sweet.